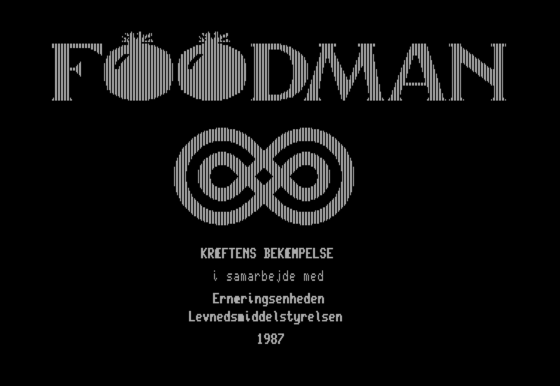 Foodman is an educational game that teaches food related topics. 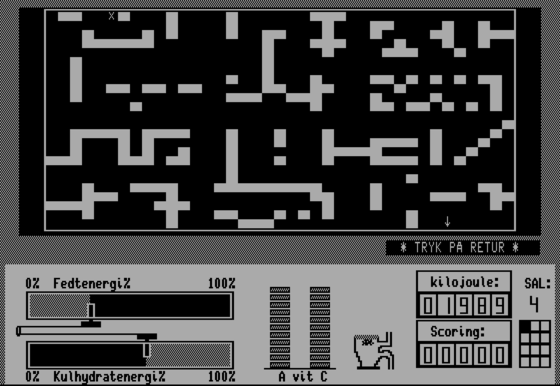 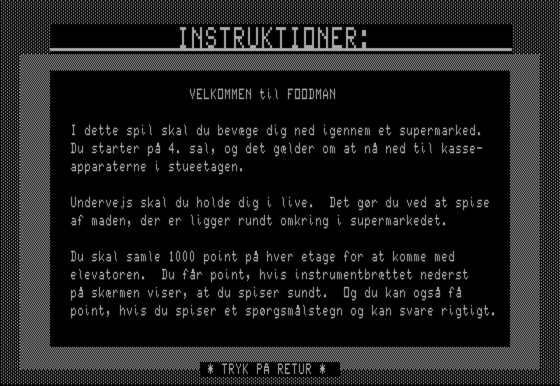 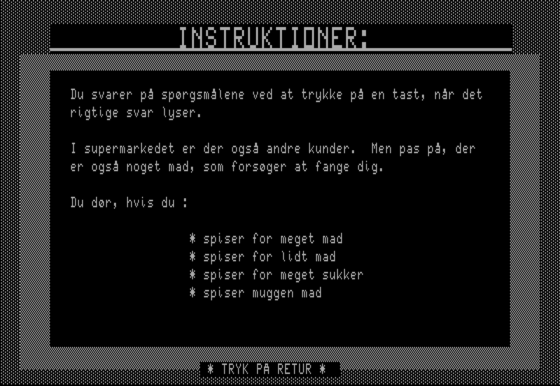 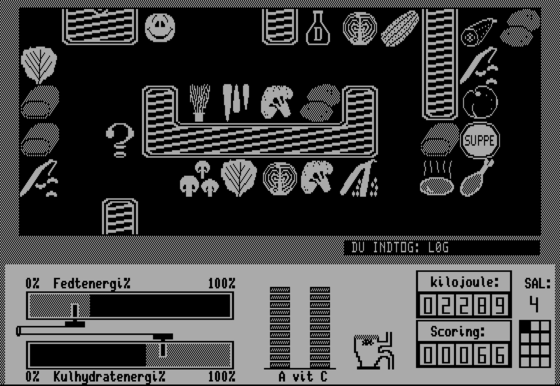 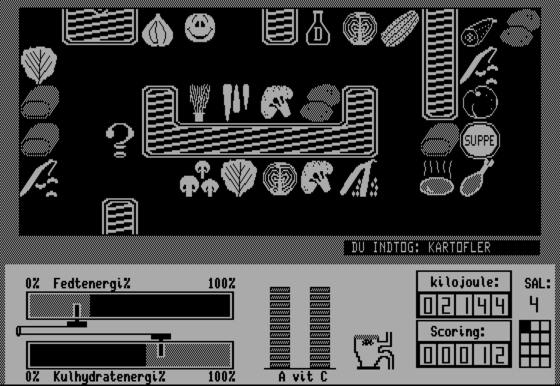 The player is walking around in a supermarket, ingesting different foods. 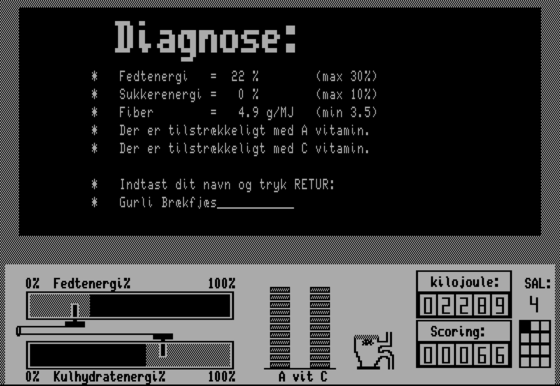 The player will die if eating too much or too little, too much sugar or if rotten food is ingested. 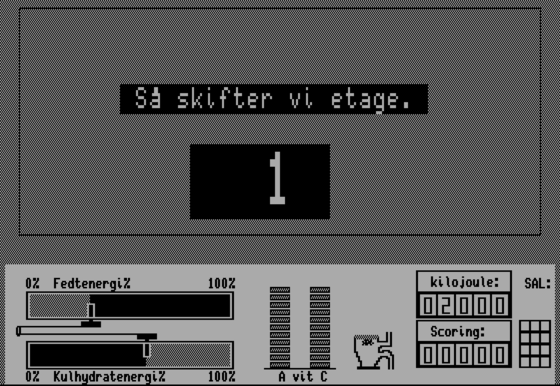 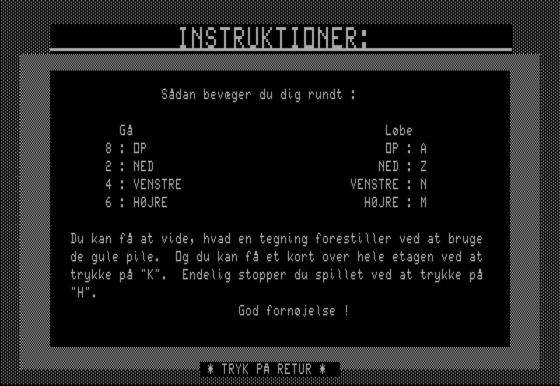 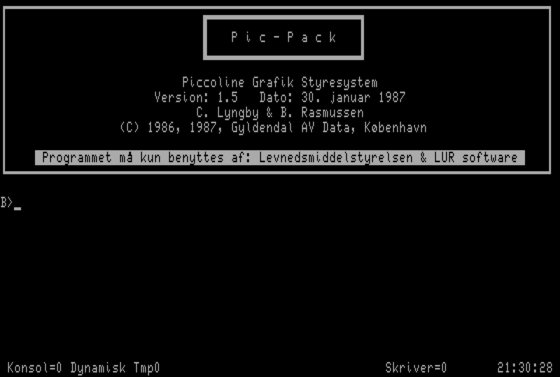 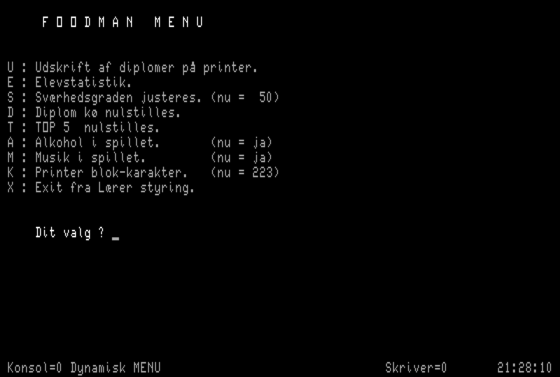 The software is made by LUR Software in coorporation with Kræftens Bekæmpelse (The Danish Cancer Society). 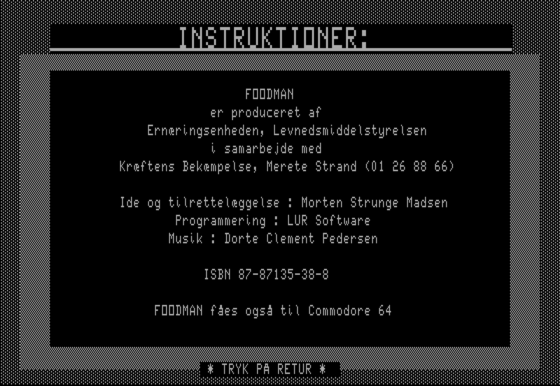 The disk is probably not original since some startup related files are missing. 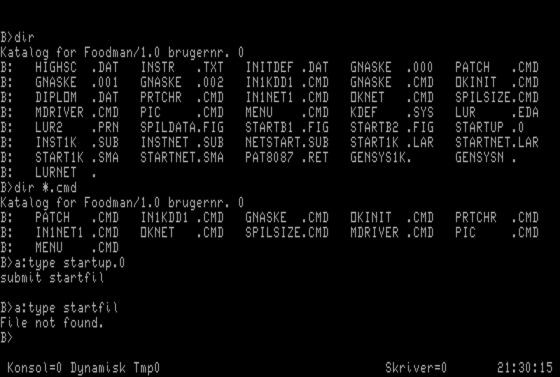 Therefore the disk is not bootable.